Our Day Spa offers a wide variety of massage techniques to suit every clients' needs. Our knowledgeable therapists can help to enhance your well being through these types of massage therapy methods. This therapeutic and detailed massage works to alleviate chronic pain and potentially pinched nerves through deep muscle tissue manipulation and trigger point therapy. This massage focuses on relaxing the mind and the body. It incorporates aromatherapy to balance your mental well being, all while easing tension and stress through various massage techniques. Mu-Xing treatment uses warm bamboo and Rosewood tools to perform massage techniques. Mu-Xing increases relaxation, reduces muscular tension, decreases pain and stiffness, improves posture and offers an overall sense of well being. This Soothing foot treatment begins with a warm foot soak, followed by a warm mud wrap, warm towels, and a detailed foot massage focusing on specific pressure pointa. Perfect for tired, aching feet! Using a combination of hot stones and cold stones (for inflammation reduction) combined with soft tissue work, this massage is localized to the head and neck to help with reoccuring tension that can result in chronic headaches and/or migraines. Hot stone massage services employ smooth, tumbled stones which are heated and applied to key points on your body to achieve maximum therapeutic effectiveness for your massage service. Experience the healing power of heat combined with a fabulous, rejuvenating massage experience. Exclusively for expecting mothers in their 2nd or 3rd trimester wanting to relax. ** To prevent any discomfort or potential harm, essential oils and hot steam towels are excluded from this massage. Myofascial release focuses treatment on releasing the muscular shortness and tightness. Using very gentle massage techniques, this specialized treatment promotes the movement of lymph and the drainage of toxins throughout the body. This is a beneficial treatment for those who simply desire a healthy detox or for those undergoing and/or ending treatments such as chemotherapy or radiation. Lymphatic drainage aids in boosting the immune system. Pre or Post Sports Massage is designed to help any athlete perform at their best level and it will also help them recover quickly and effectively after strenuous competitions and practices. 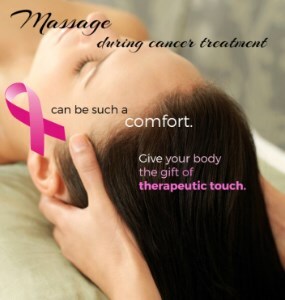 Oncology Massage is the adaptation of Massage techniques to safely nurture the body of someone affected by cancer or it’s treatments. It is a comfort oriented massage that is very specific to each client depending on where they are in their journey with cancer. “Simple human touch can bring relief”. Orthopedic Massage is a type of massage which is focused on treating painful conditions which affect soft tissues of the body. 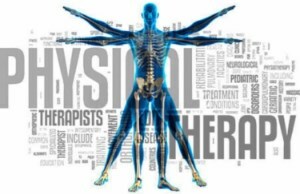 The therapist will focus on the client’s musculoskeletal system and will also integrate a range of techniques to treat specific conditions. The therapist will release tight muscles, help stretch shortened muscles and tendons and can also help to decompress joints. We recommend you call (717)243-1122 or (717) 245-0900 for appointments. When there is a need to cancel or reschedule an existing appointment, please give us as much advanced notice as you can, this will ensure that we can reschedule you in a timely fashion and we can also give your appointment slot to another client. Appointments not canceled or not kept on a regular basis will result in full charge for that service, or pre-payment of that appointment time. © 2019 Tangles Hair Salon and Day Spa, All Rights Reserved. Unauthorized duplication is prohibited.